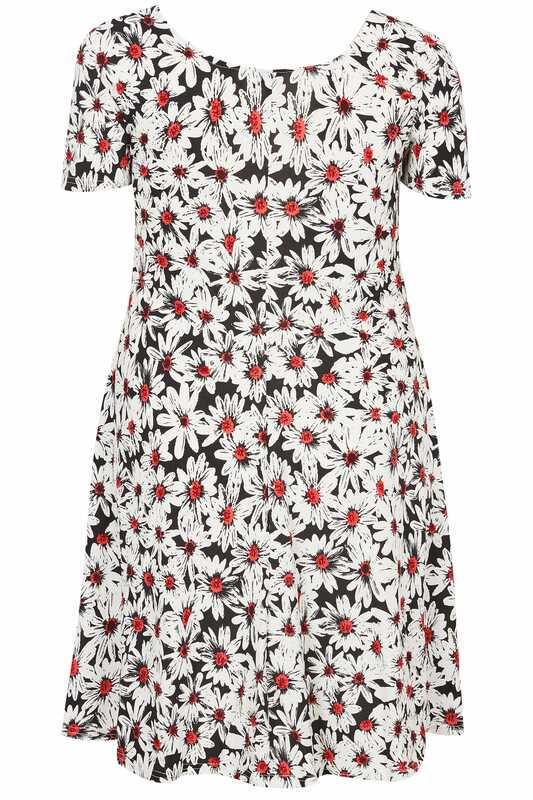 Add a floral note to your wardrobe staples with this daisy printed dress. 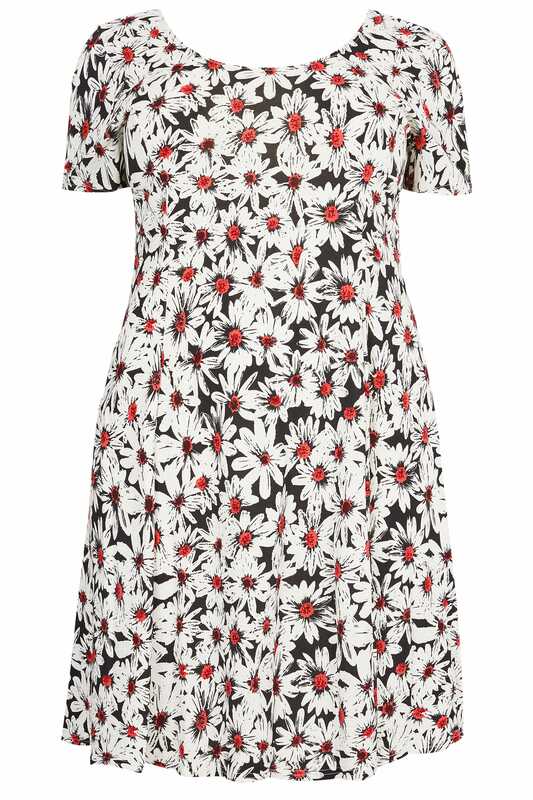 Made from a textured jersey fabric, it offers a slight flare to the hem for a flattering finish. 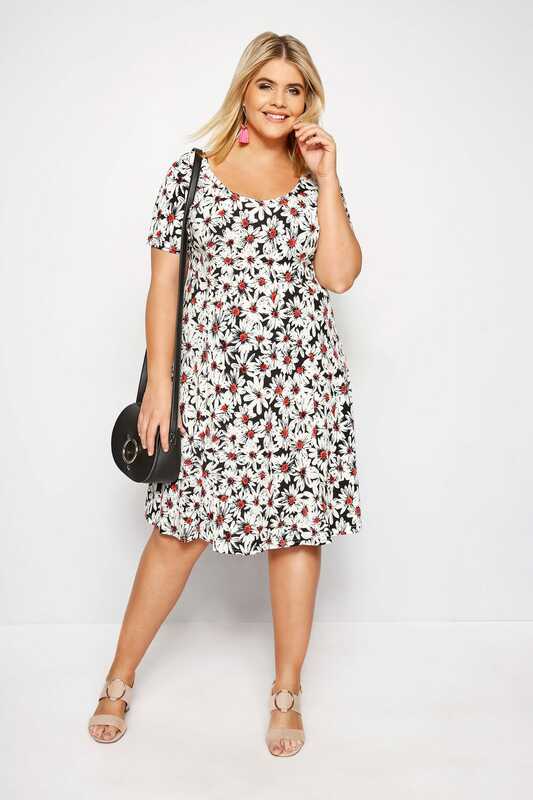 Complete with a simple scoop neckline and short sleeves, just add black tights and ankle boots for a sweet and sophisticated look. Make a style statement with bold prints this season.